Say goodbye to your controller and watch those lap times tumble with the truly immersive PlaySeat Evolution. 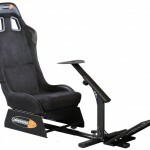 Make no mistake, this is a luxury product for those with the cash and the space in their home to house one but the PlaySeat racing seat truly elevates your racing experience to new heights. PlaySeat offer the Evolution and Alcantara in black and white with black or grey frames but they are in essence the same seat. 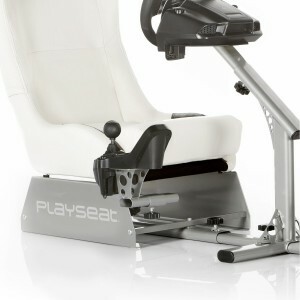 In addition they offer the PlaySeat Revolution model 2013 which is essentially the same as the PlaySeat Alcantara and the PlaySeat Evolution only the frame is slightly different with the steering column stemming up from the seat rather than the base frame leaving you more foot room. Evolution, Alcantara, Revolution and Forza Edition. You can see the full latest range of Playseats here. We got our grubby mitts on the Black Evolution model and had the opportunity to play about with the Forza model and Revolution model. Up close and personal, the Forza model really stands out with its branding and finish though the others are equally impressive if you prefer the plain / non branded seats. The white, in our view, looks better than black but we would suggest that if this is to be frequently used, to go for black as it will better disguise any dirt and wear giving it that bit more life. Other than the aesthetics however the chairs are the same in terms of build quality and features. The dimensions of the chair are 130 x 50 x 98 cm / 51 x 20 x 39 inches and whilst it can fold away, you do need a bit of storage space if you are not going to leave it set up. That said, leaving it set up in you house is absolutely an option (girlfriend permitting) as it looks so good that it is likely to intrigue visitors as opposed to scare them off! I am 6ft 5 and weigh around 90kg. That means I needed to max out the settings. Once adjusted, it acomodated my weight and height absolutely fine. The steering wheel ended up higher than I would have liked owing to my high knees but ultimately was not a problem in the slightest. The PlaySeat comes in a well packaged branded PlaySeat inner box and an outer box. Inside you will fine the Chair itself as one piece folded with the chassis and frame parts disassembled. Also inside you will get all the relevant screws, bolts, instructions and warranty information. It comes out very easily and the PlaySeat took us around 25-35 minutes to fully assemble. Is relatively straight forward but took us a bit more time because we also got the separate PlaySeat Seat Slider which again was relatively straight forward to put on. Its a shame that the seat slider does not come as standard. After some use with different people hopping on and off it, we know we could not have done without it as we would otherwise have to have kept making manual adjustments to the frame. We installed a Logitech Driving Force GT Gaming Wheel which fits on perfectly and looks as one with the PlaySeat once all set up. The housing plate is wide enough to accomodate most wheels and whilst the Drive Force GT clamped on, there is provision to screw to the plate should it be needed depending on the wheel you are using. 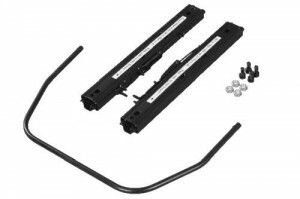 As for the chassis, once you assemble the two side plates to create the chassis, the frame parts slot in together and tighten with hand screws at 3 points, the base just underneath the chair, the footplates and at the steering wheel column. Each section can be extended or shortened to suit each users height and length. Its annoying to have to make length adjustments frequently by unscrewing the knob just under the seat which is why we said earlier above that the seat slider is a must have. If its just one persons that will be using the seat then you may be able to get away without it. One minor but frustrating point is that at each of the three points the adjustable knobs make contact with the frame, it will leave a nasty mark against the paintwork. Its a bit of a design flaw but there doesn’t seem to be any work around. We did try place some foam between the points of contact but we found its just too impractical and eventually gets lost after one too many adjustments. Packing and storing the PlaySeat could not be easier and you can simply detach the seat and base from the frame and fold away for storage. The frame will need to be disassembled but once done, shouldn’t take up to much storage space. Our advice however is to make sure you have a home for this bad boy if you are thinking of getting one. As easy as it is to store away, you want it left set up and only removed in exceptional circumstances when you need the space. Once you are seated, you really do get the sensation of being in a real race car from your race height, position, leg angling and arm positioning. Its like having your own arcade racer in your room, or better still, car! The stitched finishing along the seat and the shoulder pads make it look like its been pulled straight from a real racing car so much so that their is a small notice on the back that states not to be used for real cars! I might be well placed to comment on the comfortness and build quality given my aforementioned height and weight. I found the frame was at near max settings when I was using it to cater for my long legs and arms. I’m no heavyweight but I think 90kg is probably heavier than the average user. Once the frame is screwed in tightly at all parts, I found the frame to be robust and sturdy. The steering wheel column, surprisingly, at close to maximum extended settings, did not cause any stability issues with the wheel mounted – even with the strong force feedback created by the Logitech Driving Force GT. There is a noticeable lack of space near the feeting area particularly if you have a clutch pedal and want to use your left or right foot for the brakes. 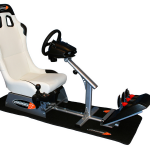 You can bring the steering column closer to the seat and away from the pedals to create a bit more room so you can reach other pedals with your other feet. 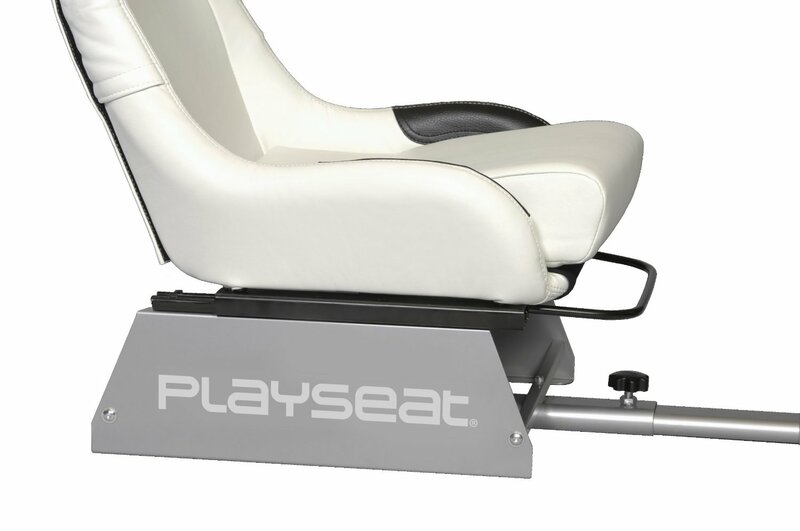 We never experienced any real difficulties but if you think this might be a problem for you, the PlaySeat Revolution model might be better given the column emanates from under the seat rather than the feeting area (though this makes getting in and out a bit more of a pain!) creating more foot space. We noticed the frame creak now and again when there is large movement within the chair or when getting in and out. This is likely to worsen over time and is due to its construction but its a minor point and can be lived with in our opinion. Onto the seat itself and boy does it look superb. The leather looking vinyl can get marked relatively easily so try not to wear any sharp clothing or anything that can cause it to dent (things like jean studs can mark it). Cleaning it however is very easy – just wipe down with a damp cloth. The cushion can actually come out so you can hoover the underneath much like you can a sofa. Behind the chair, the back is Velcro’d down that can be lifted to get access to the mechansim that locks or unhinges the seat for when you want to foldaway. You may find that the cushioned seating does not provide enough comfort to withstand long play sessions and I certainly felt that during endurnce races in Gran Tursimo 6. Sitting in any position for a long duration is likely to cause you discomfort but you do feel that the padding in the seat could have been bolstered to provide a bit more comfort. But generally speaking it is comfortable and you can always add your own cushions if it does become uncomfortable. As I have said the PlaySeat Slider is an extra though we feel should have come as standard. The pains you go through in making each slight adjustment is worth the very small investment of picking one up. In addition to the slider, you can buy a PlaySeat Gear Shift Holder and a PlaySeat Mat which really does give it a neat touch. Without the PlaySeat Mat we feel the PlaySeat looks incomplete and so we are not sure why it was not included as standard. 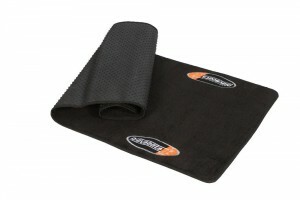 The Mat does get dented by the PlaySeat over time and is not the easiest to hoover but it has a good underneath grip for smooth surfaces and sits fine on carpets too. 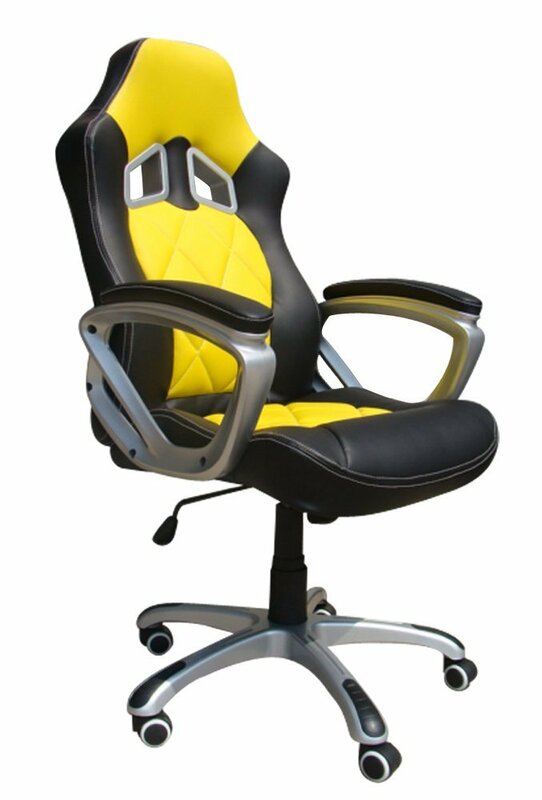 We definitely think that it looks superb and makes the PlaySeat standout in the room. It will save your carpets from getting dented and your laminate flooring getting scratched up. The PlaySeat Gear Shift Holder is compatible with the Logitech G25 and Logitech G27 Force Feedback Wheels and is easy to assemble and configure on to your PlaySeat . There’s nothing much more to say other than it does exactly what it should and it is a must for anyone with a separate shift stick. 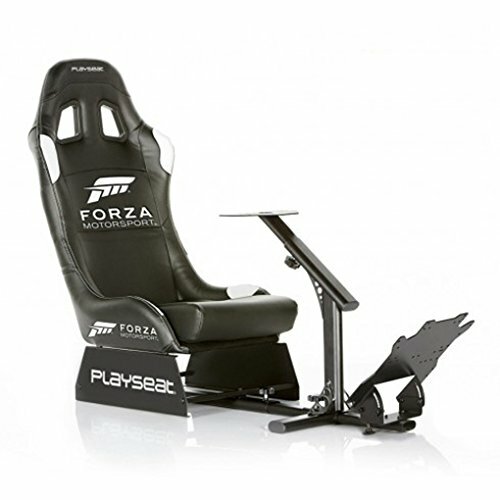 It further enhances the realism already afforded by the PlaySeat. Again its unfortunate its not in as standard but its presumably left as an optional extra to keep the basic cost down for those without a gear shift. Notwithstanding the few issues that prevent this from being perfect, we are delighted with the PlaySeat and think that it is a brilliant buy. Is it for the casual racer? 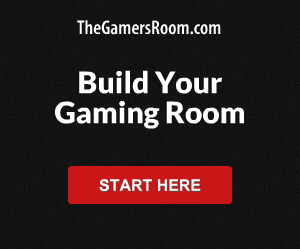 Yes if you have the space as it can be used as a general gaming chair and stored away with ease. Otherwise it is primarily a sim racers option perfect for console or PC gaming alike. It adds depth to some of the great games available – particularly if you use cockpit view – such as GT5 and 6, Dirt 3, Grid and F1 2013 and brings racing to life directly in your living room. This is a must buy! If you are thinking of picking one up, check out the best prices and availability here. 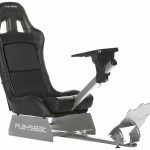 Ordered Playseat GranTurismo from Playseat International. Shipped in 3 days..Setup chair according to manual. Zippers UNZIPPED before folding and unfolding. Final step zipping up back on both sides. Defective zippers-opened up immediately. Zipper pull broke. Contacted Playseat. 10 emails, phone call, etc. they refused to honor warranty and replace cover. Absolutely the worst customer support. They blamed me for the zippers coming apart and not following the manual,. Totally wrong!. For $500+ you would have thought they’d stand behind their product. WRONG. Because of this I would NOT ever recommend them. Buy from Amazon. My unsatisfactory posts on their website and facebook were immediately taken down. A very bad experience.!! Sorry to hear about your troubles. I bought from Amazon, that offer great customer service.